EAPL have a National and International network of Marine and Land based facilities to offer its clients. All of these facilities operate around the clock giving you the client assurance that every hour possible is workable to achieve your targets. The Head Office base at Chatham in Kent boasts a 140m “wet” non-tidal berth than can be operated 24hrs a day 365 days a year to accommodate even the largest of projects. This facility is available to the marine industry to service marine craft of all sizes that work within the English Channel and North Sea. 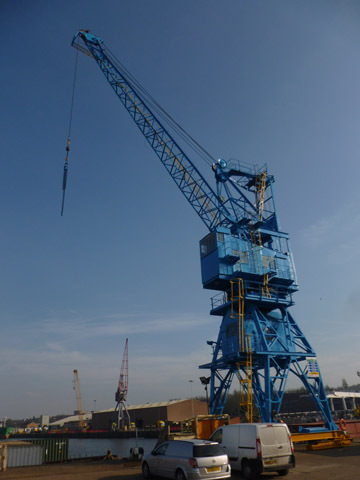 To complement the berth facility EAPL have a fully equipped workshop facility and a dock side crane to enhance the work from ship to shore; this enables us to deliver projects 24/7 for any client at Chatham. EAPL can also offer a bespoke fabrication facility for any specific marine requirements and both Marine Mechanical and Marine Electrical abilities to cater for any planned or unforeseen eventualities. Ships Agency services are available to those seeking a complete package when visiting Chatham ensuring all the ships and crews needs are taken care of in a good timely manner and to the satisfaction of the Captain. The facility in Poland can provide excellent quality skilled labour, tailored to suit clients’ needs. Management support is available to oversee all workers. It is a resource centre with a vetting school for global recruitment. Gdansk is also a local market for ship build and repair and other industrial needs. 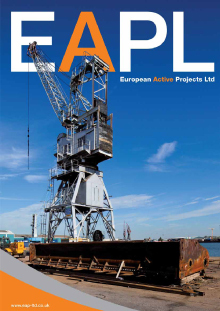 The EAPL facility in Hull has fully equipped workshop close to the main docks offering welding and fabrication of mild steel & stainless steel plate work and pipework. Hull also has a hydraulic division, including a mobile workshop that has internal machinery for producing and repairing hydraulic hoses. New installations, stripping our fire damaged areas.